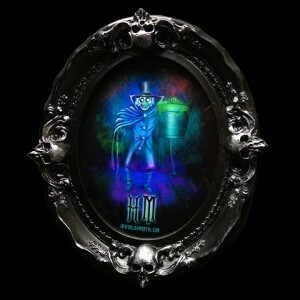 Necrotic Creations is proud to present a signed original art piece from Topher Adam of imafoolishmortal.com! “Hatty” is a beautifully designed Disney Fan Art portrait of the Hat Box Ghost who has made his long awaited return back to the Haunted Mansion at Disneyland! 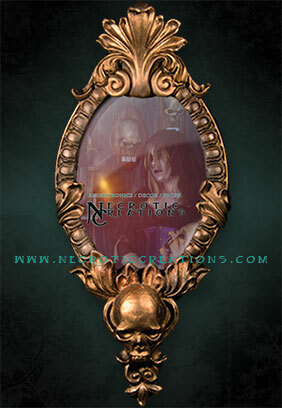 The frame is handcrafted and cast, here in house at Necrotic Creations, in black resin and finished with highlights of silver. 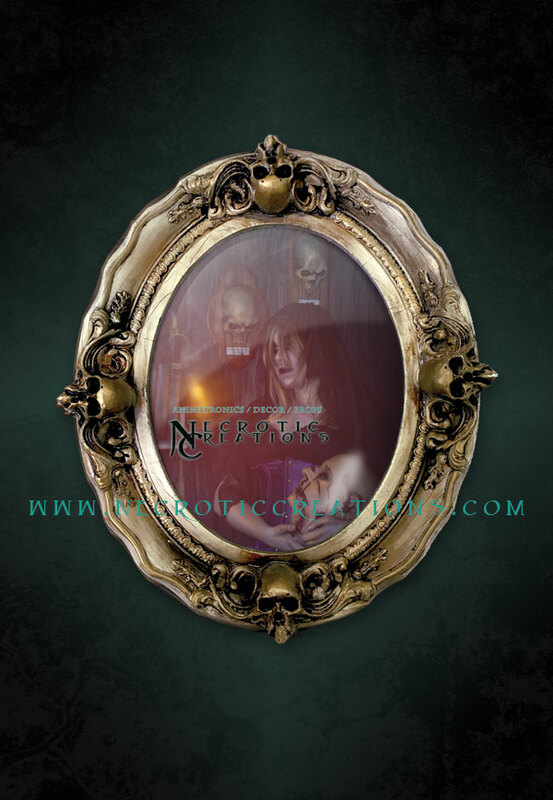 Frame can be purchased separately. What better way to creep out your home or haunt with our new oval picture frames. The frame is handcrafted and cast, here in house at Necrotic Creations, in either black resin, finished with highlights of silver or antique white finished with highlights in gold.